Yesterday the Red Bulls of New York released drawings of their new stadium design and all I can say is marvelous. A stadium for the team from NY has been one of the best jokes in MLS history, however if this concept comes into reality, all those will be forgotten. Simply put, this is exactly the type of stadium the league and the sport needs to go to the next level. The strange thing about most MLS soccer specific stadiums is how much they are not designed specifically for soccer. Yes, the pitch is the proper size and the seats are aligned more for the game, but the presence of a stage tells you the real story. Teams will make some money on soccer games but the big dollars come in from other ventures. Perhaps calling them soccer owned stadiums would be a bit more exact. So that's why Red Bull Park impresses me so much as everything about is to make the soccer experience better. The first row of seats is only 21 feet away from the touchline while seats in general are compact (on a sharper incline) to allow fans to be closer to the pitch. Plus the roof covers every seat, which will not only help with weather issues, but will also mean the place is going to echo the noise. And then there is the other nice touch of having a media section located in the lower bowl right behind the player benches. This might not seem like much, but having media in the middle of the fans will let the atmosphere of the place seep into their reporting. I'm sure other events will take place at this stadium, but from the design it is obvious that priorities 1,2 and 3 are soccer and the fans that come out to watch it. Anything else they hold there is an extra topping. The opening of Crew Stadium in 1999 was all about respect, while Red Bull Park’s opening in 2009 will be about proof that this game is alive and well in the USA. Now, will the team that plays there be able to live up to the greatness of the stadium? US and Rangers midfielder DaMarcus Beasley will miss months of play due to a knee injury he picked up in his clubs 3-2 Champions League defeat this past Tuesday. 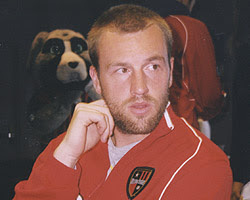 Beasley suffered the injury after colliding with the Stuttgart goalkeeper. With surgery and a long lay off ahead of him, it is pretty safe to assume that he will not be wearing the US jersey anytime soon. This is a real shame as his move to Scotland has been a good for him. His touch on the ball and attacking style has improved after a less then grand time with Manchester City last season. Let's hope for a fast recovery. By the way, I had to fight the temptation to roll out the pun in the title on this one. I mean DaMarcus Beas-knee is just screaming to be heard. Landon Donovan has suggested he might end his playing days in Australia's A-League. "My wife and I have talked about that (coming to play in Australia). Not now but maybe one day. I have got a couple more years at the Galaxy … it might be a while (but) I love it here," he said. He called the 80,000 strong crowd that watch the Galaxy take on Sydney FC 'awesome' and though they played a great game. It is interesting that Donovan, who claimed that being near his home as his main reason for moving back from Europe a few years ago, would now be willing to go even further away to finish up his playing days. Then again, maybe he's thinking Australia might get the 2018 World Cup and he, at the age of 36, could get some local love as he takes the field one last time for the USA. Or maybe he thinks that 80,000 will show up to watch him play. 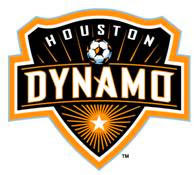 A group that includes boxer Oscar de la Hoya wants to purchase the Houston Dynamo from current owner Anschutz Entertainment Group (AEG). It is not clear how far along talks are, but MLS is very interested in seeing the sale take place. AEG at one time owned over half of the league, but now stands with just two teams, Houston and LA. The good news for Houston fans, any sale will not effect the negotiations to get the club a soccer stadium as any sale would include a non- relocation clause which would severely penalize the new owners if they moved before the lease for the stadium was up. However, the stadium might face an issue of a different sort from the NBA's Houston Rockets. It seems the Rockets have a provision in their lease of the Toyota Center that 'prohibits the city from promoting or helping build a rival venue that would stage concerts.' Since AEG is all about building soccer stadiums that can be used for concerts, this could be a problem. However, if the Rockets will not budge, AEG might hold off staging any concerts in the new stadium till the agreement ends in 2013. Of course a better solution would be to just build a stadium without a stage, but good solutions don't always equal profit, thus it will never happen. Still, it looks like the Dynamo will soon have local owners, which would mean the league would have 14 owners for their 15 teams (I'm including Seattle) and a stadium. Now if the Hunt family can just find a buyer for the Crew, all will be right. Hard to believe that as recently as 2003, there were only three owners for the whole league. A lot has changed in four years. The 2010 World Cup qualifying draw is over and the US men now know just what their opposition looks like as they will need to survive three rounds of play to make it to the finals in South Africa. The first round match will take place in June of 2008 as they will face either Barbados or Dominica (these two play a home-home series earlier in the year to decide who will advance). If the US makes it out of that home-home series, they will enter into a four-team group in the semifinals. The dates of the semifinal matches are 20 Aug, 6 Sept, 10 Sept, 11 Oct, 15 Oct and 19 Nov. The top two teams from each of the three semifinal groups (6 in total) will advance to the final round. The six teams will place each other twice with the top three teams advancing to the 2010 World Cup and the fourth team playing a home-home playoff against the fifth team from South America. Here are the dates for the final round (all in 2009): 11 Feb, 28 March, 1 April, 6 June, 10 June, 19 Aug, 5 Sept, 9 Sept, 10 Oct and 14 Oct.
Due to finishing in the top three spots in Concacaf, the USA, Mexico and Canada cannot face each other till the final round of qualification. As far as who the US will play in their first match, chances are it will be Barbados. After a disgusting first half, England looked reborn in the second thanks in large part to the work of Beckham (sub at the half) and Peter Crouch. They were down 2-0 at the half way mark, but they were able to fight back into it thanks to a pk and a fantastic cross from Beckham to Crouch's chest, but in the end a horrible night by Wyde Bridge and Scott Carson, combined with plenty of other poor play are the reason England will not be in Switzerland/Austria next summer. With Russia winning 1-0 against Andorra, England has now missed their first major tournament since the 1994 World Cup. Lots will be written (the bloodletting is going to be fierce with this one) but in the end it was all about quality. England just did not have the depth and style to make it happen. So will Steve McClaren do the honorable thing and resign at the post game press conference or will he wait to be fired? Where will England look to find a quality keeper? How must Beckham feel being one game short of 100 matches for his country knowing that this was probably the end? For the record, as far as Beckham, even at his unfit level, he was one of the few bright spots on the pitch for the squad. That says something about him and the squad. As I wrap this up, a few more questions pop into my mind. How ecstatic do you think Lalas in the LA organization is right now knowing that they will not lose their cash cow for two months next summer? Also, how soon till someone from US soccer gets on the blower and tries to setup a match between the two countries for June? Finally, how much will this hurt the beer industry in England? The San Jose Earthquakes are back and now they have poached some players. Frank Yallop looked all around the unprotected league and decided these were the 10 players he wants to build the new version of the 'Quakes around. There are sure to be some trades on the way soon (perhaps even before this message posts), but for now, here is the roster for the reborn San Jose Earthquakes. Cochrane returns to the same campus where you played his college ball to head up the 'Quakes backline. This is a loss for Houston and I think the best pickup for San Jose. Goodson is another great grab by Yallop as is Carroll. Railey will add something as well. This is a good group to build around although the Pozniak pick does surprise me, although I think Yallop has worked with him before during in Canada. I'm also surprised that Jose Burciaga went on selected. Maybe the $102,000 price tag for a left back in a bit of a funk was a bit too much. By the way, the three teams that got off easy were Kansas City, Real Salt Lake and Colorado. MLS and A&E Home Video have signed a multi-year, multi-title agreement wherein A&E will distribute MLS titles to the retail marketplace. The first release is slated for 18 December and will feature the 2007 MLS Cup match between Houston and New England. The DVD will retail for $19.95. This will be followed up with DVDs of other championship games, specific players and team histories. Although there will be a limited audience for this sort of thing, it is yet another example of MLS coming of age. The more companies tied into soccer, the better. So which team, DC, will have the first, DC, history of, DC, DVD released? David Beckham will not start for England in their fight against Croatia Wednesday night. Due to his rash of injuries over the last eight months and his lack of pace, Steve McCalren has decided to go with Shaun Wright-Phillips instead. I guess Peter Crouch will have to find someone else to set him up and inspire the squad. In other 'the sky is falling news' for England, the pitch at the £757million ($1.5 gazillion) Wembley stadium is in bad shape and might just cost England their match. If it does, look for the diehards to blame American football. The turf had taken a severe battering during last month's controversial NFL American Football match. Despite the best efforts of Wembley groundstaff, the signs of wear and tear were clear for all to see. Former West Ham and Everton defender Bilic believes the surface was likely to play a factor, even though his men faced much worse against Macedonia in Skopje on Saturday. 'The pitch here is not good, it is not the condition which Wembley used to have and is known for,' the Croatia manager declared. 'Three weeks ago there was an NFL game and the pitch it not good. 'It is not good for us, but it is definitely no good for England, because they like to pass the ball as well. A little note to any NFL folks looking at this, if England loses this game because of some odd bump on a pass or strange bounce of the ball, you might as well write off the country as a possible hotbed of pointy ball fun for a generation. Of coarse the thing that will not be pointed out if the ground plays a role in the match is that Croatia had to play on the same pitch. The Dynamo have had an easier time winning titles then getting a stadium deal but it looks like that might just change in the next couple weeks. City and team officials have both said that a private-public deal to build a stadium could be in place within weeks. Dynamo's owners Anschutz Entertainment Group (AEG) want to build a 22,000-seat, open-air stadium costing around $80 million. AEG would cover a majority of the construction costs for the stadium with the city chipping in to provide infrastructure improvements. Houston Mayor Bill White does not want to see any public money used in the building of the stadium. The location of the new stadium has not been released, however, it will be in the downtown area. This all sounds wonderful and I hope the deal gets closed soon, but I do wonder about the open-air stadium. With a number of games taking place in the summer months, I would think some coverage for the fans would make it a bit more enjoyable. Also, with a roof, the sound echoes, making the home field that much more hostel to the opposition. I'm guessing since this is an AEG project, a stage will be included with the plans, although it would be very funny if they elected not to have one after their arguments with Red Bull over the New York stadium. Also, I wonder if any of the money Red Bull paid AEG for the New York rights buy out is not in the Houston stadium fund? The teams have all submitted their list of those who are protected and those who are free to be taken. Below is the full list of players available for San Jose in the expansion draft. A reminder, the Earthquakes will get up to 10 rounds of picks, but they can only pick one player from a team. Some interesting notes, Denilson (FC Dallas) is unprotected. I guess they are betting that San Jose will not use their DP spot on him. Also, both the Dynamo's number one and two keepers are available in Pat Onstad and Zach Wells. Either they don't think the 'Quakes are looking for a post minder or they are more afraid of a field player going back to California. Craig Waibel and Paul Dalglish are also on the list. Waibel is dependable but ageing while Dalglish has been hampered by injury this year. Here are some other players that jumped out at me as I glanced over the list: Jose Burciaga (Kansas City), Clarence Goodson (FC Dallas), Andy Herron (Crew), Brian Carroll (DC), Avery John (New England) and Francis Doe (New York). The draft happens on Wednesday at 1pm ET/10am PT. Any Houston Dynamo fans who want to salute their back-to-back champions can do so tomorrow evening from 5:30-7:30pm on the step of Houston's City Hall. The players, coaches, GM, mascot and Dynamo Girls will join the mayor and local soccer personality Glenn Davis for this party. All are welcome to attend this free event. Good idea having this Tuesday night because after Wedneday's expansion draft, the Dynamo might just be one player short. The traveling madman that is Clint Mathis has again hit the road, this time landing back in LA with the Galaxy. After a decent season in New York, Mathis will now head to the home of Beckham and Donovan to see if he can make anything happen on the West coast. In return for Mathis, New York got LA's natural third round pick in the upcoming 2008 MLS SuperDraft. Three members of the Iraqi Olympic team as well as an assistant coach have deserted their country while in Australia. The four have grown tired of security concerns back home and are seeking political asylum. Assistant coach Saadi Toma and playing trio Ali Mansour, Ali Khidhayyir and Ali Abbas were not present for the team's flight back home after their 2-0 defeat, with Toma later informing the Iraqi FA by telephone that the quartet had applied for asylum. "It's because of the deteriorated security situation and violence against athletes in Iraq," explained Tariq Ahmed of the FA. The first half saw the team from Houston looking out of place as their backline was confused and their passing game was pathetic, however, Coach Kinnear provided some halftime magic to regroup his side. Half number two saw the team start pushing forward, but the big change was the marking in the midfield. New England was started having trouble pushing through, which gave Joseph Ngwenya and Dwayne De Rosario the room they needed to move into the attack. Ngwenya looked especially much improved in the second 45 as his first half was a mix of poor passing, selfish play and sloppy attacks. But Ngwenya more then erased all that bad with his game-tying goal in the 61'. Actually, his sloppy attack came in handy as his whiff kick caused Matt Reis to dive, opening up the hole for the actual goal. Then came the winner. Brad Davis sent in the cross and De Rosario did the rest. How much force was on that header? New England was playing their game through out the first half, but in the end, the same problem that they were some how able to overcome in the first two rounds of the playoffs was too much today. Their goal scoring ability, or lack there of, cost them. Okay, Pat Onstad had a lot to do with that, but with so few big options up top, Houston was able to keep control even when being out played. Off topic, but Onstad deserved the MVP a bit more then DeRo in my opinion. Also, the Revs were very lucky to not get a pk against them in the first 15 minutes when Avery John took down Nate Jaqua from behind in the box (I think it was Jaqua, but my memory might be a bit fuzzy) and the Khano Smith as Zidane act should have been a red card (although hands off to ref Alex Prus for doing everything he could to keep calls from deciding this one). So Houston repeats as MLS Champions and New England is officially the saddest team in the league (but way to not cry Matt Reis). The Dynamo have earned the MLS title and deserve all the dynasty talk and it is only fitting that it took place at RFK, the home of the only other team that has ever reached MLS dynasty status. Congratulations to the Houston Dynamo and their outstanding fans. Over at US Soccer dot com, they are hosting their annual 'Best of' awards. They have best male goal, female goal, team, bar, etc., etc. But the big one, the one that will change the course of the game forever, the one that will cause grown men to cry and women to faint is none other then 'Best (damn) Soccer Blog' ever (or at least for now). The nominees are the cream of the soccer crop (proven by the fact that this blog is nowhere near it), but there is one that stands out far above all the others, because only one gives you the freezer, the Supporters' Shield graphs, the karma bank, the soccer carnivals (whatever happened to those?) and all the DC homer feel they can cram down your bloody throat. This is the blog that gets up at the crack of noon everyday thinking 'how can I make a DC United joke in French?' This is the blog that looks at anything and thinks, how can I insult the Red Bulls with it? And this is the blog that has taken the clichés out of the soccer lexicon. Think what you will about the team for which they bleed, but without a doubt, DCenters is the best soccer blog this country has to offer. They have lead the way and pushed the sport forward as few others could. So do yourself a favor and go have a few drinks, but before you do, vote for DCenters. Could it be that the joke of a stadium in New York is finally going to put to rest again? It looks like things are on track to make that happen as Red Bull have bought out AEG's 50% share in the complex. After 18-months of back-and-forth between the two, it was obvious they were not going to get past their major hang-up, a stage. AEG wanted one while Red Bull did not. With today's move, New York now has a chance of building a great stadium that will be used solely for soccer. Now the question is how quickly can they get this thing built. If the 18-month time frame for other stadiums hold true, New York could have their stadium finished right after the start of the 2009 season. Hopefully, this will all come together because the stadium plan looks to be one of the best in the league. For the third straight year the New England Revolution come into the MLS Cup after winning their conference championship 1-0 while Houston, for the second year in a row, will be without Ricardo Clark in the final due to suspension. So how many times will we hear little facts like that during Sunday's broadcast? I'm guessing the ABC crew will have a number of them. But anyway, what about the game? New England must feel good about this one. So far they have not allowed a single post-season goal, they've had three extra days of rest, one of Houston's biggest stars is injured and the team's owners are bussing in fans. All this seems to point to a good day for the Revs. However, there is a big area of concern, their offense. The Revs have yet to find any sort of scoring touch as both their playoff goals have come under odd circumstances. The goal against New York happened when the Red Bulls were playing down a man (Arena had yet to sub out Angel) and Twellman's bicycle kick goal against Chicago was beautiful but should not have been allowed (dangerous play). Add to it Houston's defense and you have the makings of a drought. Meanwhile, the team from Texas has been sure footed in front of goal. Six goals in their last two playoff games is something, but the numbers that really stand out to me are the eight players who have multiple goals this season and the five guys who have found net in the playoffs. Houston will be without a big part of their offense if Ching is out, but they still have a number of options available, while Taylor Twellman has been the only scare factor in NE's bag. Where Houston will take the biggest hit with Ching out is in the air. Last year, teams where terrified of giving up corners or free kicks in the final third because Ching and, to a lesser degree, Dalglish were able to get on the end of those things. However, this season, Houston has done little with their chances, due in large part to Ching's various injuries. Ching also forces the defense to pull over to cover him, thus opening up space for others, however, this might not be as big of a lose as it seems. Since Nate Jaqua has some good speed, the Revs backline might hold a few yards closer to goal then they would with Ching, thus opening up more space for De Rosario, Ngwenya and others in the middle and the midfield is where Houston has been getting it done. But I have a feeling Shalrie Joseph, Jeff Larentowicz, Steve Ralston and Khano Smith (not to mention Michael Parkhurst) will have a few things to say about the Dynamo's plans for the center of the park. Ralston has been cranking up his game and providing for Noonan and Twellman while Larentowicz has become a bit of an enforcer. However, they have seemed more giveaway prone the last few weeks as balls either skate by or get picked off along their way plus Ralston's placement on corner kicks has not been the best. So could this really come down to the defensive line and goalkeeper. If so, two different stories could come of it. Houston's backline has been near perfect, allowing 17 shots with only 6 on target while the Revs have allowed 44 with 20 on frame. Obviously Houston is the tighter team in the back. Wade Barrett knows how to control his line but a lot of these numbers are due to the whole team fighting the defensive battle. Players track back to give the team numbers (unlike Chicago who just sat back), thus keeping the pressure off of Onstad. New England, on the other hand, leaves most of the defending to the defenders, which explains why more balls get through, however Matt Reis seems to like it this way. Reis made 120 saves this year while Onstad had 2/3rds as many. And Reis's season goals against average might not be as pretty as Onstad's, but during this playoff run, he has made 19 saves while Onstad has just 4. I'm sure both will come up with a couple big saves on Sunday, but from the looks of it, Reis is the proven option. So how will this thing play out? Expect a lot of defense at the start with Houston trying to get their passing game organized while the Revs look for some quick through balls to Twellman. If Jaqua gets the start, he will try to run at the defense to keep them in their final third. My guess is the opening 20-minutes will see some flurry, but no goals. Then it comes the pound out time. If the Revs can turn this into a slower paced game, they should be able to put the Dynamo to sleep. 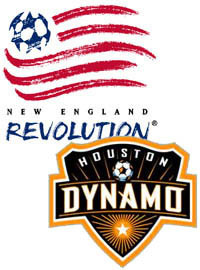 With the Revs only needed a couple quality chances to win this thing, Houston will need to stop the lapses, however if these game has pace, I've got to go Dynamo. So much seems to point towards the Revs finally getting a MLS title, but I just don't think it is going to happen. Since the start of October, New England has not dominated any games and has lucked in the final thanks to the above-mentioned goals. Meanwhile, Houston has turned it up a number of notches and is producing just about everywhere. Ching out will hurt them, but they should still have enough to cover. It is going to be a difficult task beating Reis, but if Houston can exploit NE's defensive holes, they should get enough shots in to get past Matt. US vs. South Africa, who needs to perform? Freddy Adu (M) - The match against the Swiss was a good tease, but it is just about time for him to prove if he can sustain for more then 15-minutes and prove the critics wrong. Dan Califf (D) - He is one of the oldest players on the roster and if he hopes to work himself into a regular spot, he needs to prove that with age comes wisdom. Brad Guzan (GK) - Brad has worked his way into the number two spot, but he doesn't have the lock on it just yet. A great game in South Africa (and a move to Europe) should help get him there. Sacha Kljestan (D) - He is one of Bradley's boys from Chivas USA. He is good but he must prove that he deserves to be there. Oguchi Onyewu (D) - As much as it pains me to say this, the Gooch has been off his game since the crap pk call against Ghana in the final World Cup match. He needs to find his mojo again and not let the opposition get into his head. Heath Pearce (D) - Pearce is always on the edge when it comes to the roster. He adds something to the attack and his defensive play is usually at least okay, but he needs to do something to cement the spot. Jonathan Spector (D) - Time to prove that the injury problems are past. DaMarcus Beasley (M) - This year has been one of Da Bees best. Another good performance will take the international nerves down a few levels. Carlos Bocanegra (D) - His work on the backline has been good for club and country and he is a lock as long as he is healthy, however all captains have a pressure to perform in order to inspire their team. Jonathan Bornstein (D) - Is Bornstein one of the most polarizing figures to US fans? It seems people either think he is very good or a pile of dirt. As one of Bradley's Chivas boys, he has an in, but to win over all the fans, he needs to play a near perfect game. Maurice Edu (M) - Wonderful first outing against the Swiss, now can the MLS Rookie of the Year do it again? Josmer Altidore (F) - The pressure on Jozy will come more from himself then anyone else in his first senior level match. The US needs strikers bad, so even if he bombs out there, he is going to get a few more call-ups. Michael Bradley (M) - Quickly becoming the key (along with Feilhaber) in the center. Also, another good night might finally get the TV announcers to stop talking about the 'controversy' of the son playing for the father. Note to all, the only people who talk about it are TV announcers. Steve Cherundolo (D) - The right back spot is his, so should use the time to soak in the spring weather before heading back to the German fall. Clint Dempsey (F) - The Deuce is making it happen in the EPL and has shown himself to be a smart player internationally. Short of taking a swing at a teammate or breaking someone's jaw (where is Jimmy Conrad? ), he is safe. Benny Feilhaber (M) - Like Bradley, he is quickly becoming the center of the team. Tim Howard (GK) - Unless he loses an arm, he has the job between the posts for some time to come. So there is the pressure cooker report for this match. Actually, I think there is one person who has a lot of pressure hanging over them even though they will not be on the pitch. That person is none other then Landon Donovan. With Bradley showing signs of not building the team around Donovan like Arena did, a good combination between the midfield and Dempsey/Altidore, might diminish his star a bit. He is still far from being off the team, but his role is changing and he must change with it. Your team not in the MLS Cup? Here's your guide to picking a side. Let's face it, for most MLS fans, your team isn't going for glory on Sunday afternoon, but being the proud soccer fan that you are, you will still watch the game. Now you can do it impartially, judging the game not on an alliance but on the actual play on the field, but what fun is that. Go ahead and pick a side so there can be an 'us vs. them' motif. It will give you more of a reason to cheer every shot, jeer every hard tackle and curse at every bad call the ref is bound to make. But have no worries about anything long term, this is just a one afternoon stand that will be gone faster then a New York Red Bull coach. With that in mind, here is a guide to help you pick your short-term personal cup team based on your own true MLS love. Chicago - Can you really cheer for the team the beat you especially on a 'tainted' Taylor Twellman bicycle kick? Plus, do you want the MLS Cup to go to a team that plays on turf? One last thing, Dallas is your enemy and Houston is Dallas's enemy thus Houston is your friend. Where there is a Dynamo, there is bound to be a Fire. Chivas - You've got much better over the last couple years but you still can't make anything happen against Houston. Plus, that 0-0 tie against the Dynamo on the last match of the regular season exposed the weaknesses that Kansas City used to beat you in the playoffs. The Goats are kicking for the Revolution. Colorado - Much like the play on the pitch, this club has little excitement either way. Still, the Revs play a style of soccer that lends itself to a bit more of a snore nature then Houston, so maybe if the Revs pull one off, it proves that Colorado has a chance. New England for a new Rapids. Columbus - Let's use some logic here, this season the Crew did not lose to the Revs once (1 win, 2 ties), therefore, if the Revs beat Houston, the Crew are actually MLS champions. Then again, if Joseph Ngwenya plays a big roll for Houston, it's like the Crew made it happen. So really, either way you go, Columbus comes out on top. Go halftime show! DC - Okay, watching a team break one of your most cherished records (back-to-back titles) on your own pitch is bound to hurt, however can you really cheer for New England? I mean do you really want to see Matt Reis holding the cup high over his head at RFK? It has got to be Houston. Dallas - Texas pride runs strong and it runs deep but hatred between Dallas and Houston runs deeper. Not only have they achieved more in two years then you have in twelve, but they have even done it on your own soil. Then again, New England did take the US Open Cup from you this year on your own soil, but I'm guessing that hurts less then the repetitive beatings Houston hands you. New England all the way. Kansas City - Houston kicked you out of the playoffs, but it was such a one sided night that the only way to not look foolish is to have the same thing happen to another team. Hope for a Dyno-tastic Sunday. Los Angeles - Until next season, Houston is still the Earthquakes and LA doesn't like Earthquakes. As an added bonus, a New England win in DC makes United look less like the Superclub the Galaxy aim to be. Also, with AEG Houston and LA's corporate parent, aren't you tired of your brother getting the better grades? La-La wants a Revolution. New York - New England is the team New York was suppose to be and sure this might not be baseball, but a New Yorker going for a team from Boston just doesn't seem right. Besides, if the Revs win, that's one less team that you could point at as and example of a team without a MLS title. Houston to smack the Revs. Salt Lake - Real is looking for a revolution in their play next season so they need to look at this game with strategy in mind. The winner will get a berth in the Concacaf Champions Cup and if tradition holds, those who play in it will have a bad start to the MLS season. Since Salt Lake has a better chance of playing Houston early, the Dynamo are the way to go. Toronto - Like there is even an option here. Between Dwayne De Rosario and Pat Onstad, Houston is the proxy team Canada. A win for them is like a win for the maple leafs. Go, go Dynamo! 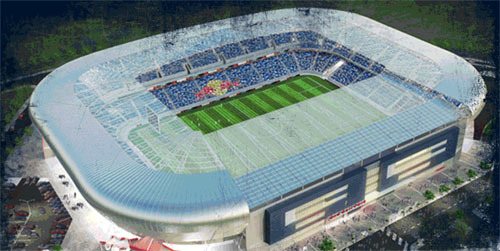 The stadium issue has again come center focus in the South Africa's 2010 plans. In the past, they have had problems with environmental concerns, lack of construction material and the diversion of funds from other needs (such as building hospitals) in order to pay for the new complexes, but now the issue is wages. Hundreds of workers at Moses Mabhida Stadium in Durban have stopped working due to poor pay. They have gone to town hall to demand a minimum wage of $1.60 an hour plus project bonuses of $222 a month in addition to safety improvements. Workers at the other stadiums have threatened to join those at Durban in a sympathy strike if their conditions are not met. In addition, the union has threatened disruptions to the 2010 preliminary draw scheduled in Durban on Nov. 25. With just about two years remaining till these stadiums are suppose to be operational, any strike could make it difficult to meet the completion date. Also, South Africa 2010 has been getting much better PR over the last few months, but if a strike happens, expect that to change. The Dynamo and Gallery Furniture are hosting a 'Keep the Cup' pep rally on Thursday, November 15, from 5-6:30pm. Fans will get a chance to see the 2006 MLS Cup, meet the team's mascot and get a free "Dream! Scream! Believe!" t-shirt. Gallery Furniture is located at 6006 I-45 North, Houston TX 77076. Houston fans can also try to win a free trip on a luxury bus to Sunday's MLS Cup by listening to LaNortena 850 AM and 101.7 FM, 790 The Sports Animal, LaRaza and XO. In a little over 24-hours, fans of the new MLS Seattle team have snapped up over 3,000 season tickets for the 2009 season. With the new team set to play in a 24,500 seat version of Qwest Field, this is a significant number. Fans need to put down a $50 deposit to secure a season ticket. The club has also received suggestions concerning their name from 2,000 fans. You can submit your own name suggestion at the team's web site. In a major blow to Milwaukee's hope of landing a MLS expansion squad, Peter Wilt has left his post as chief executive officer of Milwaukee Professional Soccer LLC. Wilt, who was the former general manager for the Chicago Fire, had hoped to work with local financiers and politicians to bring top level soccer to Wisconsin, however, there just was not enough of a push to make it happen. "Despite having a broad base of support, 8,000 season-ticket equivalents and what I feel is the best pro team/amateur youth sports association partnership in history, we haven't been able to secure the necessary governmental support or the development rights for appropriate land in the desired time frame," said Wilt in a statement. "There is no doubt in my mind that Wisconsin would be a successful Major League Soccer market and that Milwaukee and its citizens would benefit from a team and stadium as part of a major mixed-use development." Wilt had been working on the project since 2005, but his efforts to land a stadium location proved to be extremely elusive. Perhaps he is best known for his idea to use the Milwaukee Mile racetrack as a soccer pitch. With Seattle landing a team this week and Philadelphia or St. Louis on the cusp of getting a club (not to mention the Portland, Las Vegas, Phoenix and New York City options), the idea of the league expanding to a city where the team would play at a race track must have finally seemed to far fetched for Wilt. Thankfully he will still be involved in soccer, as he will work with the Chicago team in the new professional women's league. The US roster for South Africa got a bit of a shakeup yesterday when Landon Donovan and Eddie Lewis were both dropped. Lewis's club requested that he not play in the match due to the strain of travel. Donovan's absence is the result of a calf strain he suffered during Sunday's friendly against the Minnesota Thunder. Without Donovan, the side goes into the match with just two named forwards meaning Jozy Altidore is all but certain to get significant playing time. Here is the full roster for Saturday's match in Johannesburg. Overall, the represents a great lineup to test in South Africa as many of these players will make up the core of the 2009 Confederations Cup and 2010 World Cup squads. The game will air live on Fox Soccer Channel and Galavision at 9am ET on Saturday. If you are going to be in DC for MLS Cup, why not join the good folks from DCenters and Du Nord for their viewing party. 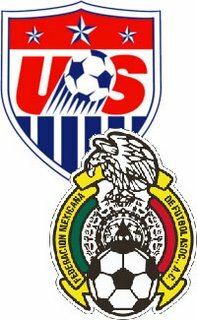 It seems there is a new tradition in the cross-border soccer rivalry coming to light as the US and Mexican men will met for a 'friendly' on the Feb. 6 in Houston, Tx. The two sides met this past February in Phoenix where the US overcame a difficult first half to take the game 2-0. In an interesting twist, the seats for the stadium will be sold based on fans rooting interest. There is a presale of tickets today through Saturday will general public tickets going on sale Sunday. So if the Wizards pull off the upset, they will be the champions of a conference to which they do not belong. That would make for an interesting footnote in the MLS story. Can the Dynamo make 2007 a 2006 repeat? All they need to do is get past an uneven Wizards side to make it all come true, but that could prove harder then it looks. The Wizards will need Eddie Johnson at full steam if they want to make it happen in Houston. Scott Sealy is a dangerous attacker, but having just one player causing pain for the Houston defense is not going to be enough. Johnson looked lively at Chivas last week, but he was much better at putting the ball over the crossbar then under it. The Dynamo need to keep the momentum from their thrilling victory last Saturday going. Brian Ching and Dwayne De Rosario will be important as always, but if they really want to take it to KC, they will need the midfield to shut down the Wizards quick counters and they will need their defense to not give up a goal off a sloppy event in the box (something they do a bit too often). Much like the New England in their match, Houston has players everywhere that can strike at goal while KC, like Chicago, are limited. Also, Houston has home pitch advantage and is not suffering from injury woes like Chivas, meaning this one will be theirs to lose. In the end, it will be a harder struggle then most expect, but Houston will move on to the finals. Chicago's lack of finishing finally did them in as the Revs return to MLS Cup for the fourth time in six years. Overall, the match was lacking in excitement as both sides suffered from poor passing in the final third, but the real story is the lack of quality shots on goal the Fire had. Of their 10 on target shots, only two forced Matt Reis to make any sort of effort to stop them. Blanco was mostly invisible on the evening thanks in large part to referee Kevin Stott. Since a large part of Blanco's game is based on getting calls from the ref, if the ref ain't calling', it just ain't happening. But Blanco was not the only player lacking. Other then some quality saves by Matt Pickens the team was a wash. The Twellman goal was excellent, but overall, the Revs were a bit caged, but that is sort of their style. As far as the ESPN call, it did not add anything to the excitement level. Even though they talked a large amount about the game, overall, it was just filler and enough about Boston being the city of champions. We got it the first time. 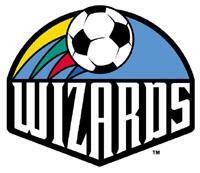 Tonight decides who will represent the Eastern Conference in MLS Cup 2007. Will it be the hard charging, Blanco fueled, giant killers Chicago Fire or the always dependable, Matt Reis backed New England Revolution? Without a doubt, Chicago has had a good run of form over the last couple months, but it really has not been as impressive as it sounds. Yes, they have not lost in their last 10 league matches, however, six of those games ended in ties and they scored one goal or less in seven of them. It makes for a good record but when you are in a must win situation, it doesn't hold up as well. The Revolution have had a bit of a bumpier ride in terms of results and they looked a little soft against New York in the first round, but overall, they hold a number of key advantages. First, they are playing on turf in their own house. Second, they have a goalkeeper who is getting close to top form. Third, they have multiple scoring options. Fourth, unlike DC, injuries are not hurting a number of key players. All of these will make Chicago's job extremely difficult, but there biggest issue is the same one they have had all year, failure to score. The Fire have the fewest goals of any playoff team (31) and are second worse when compared to the league as a whole (TFC holds the bottom spot at 25). This lack of attack, especially up against a keeper like Matt Reis, is what will doom them. On the other side of things, the Revs have one of the most productive offensives in the league and with seven of their regular starters having two or more goals, this productivity is not limited to one area. This will force Chicago to pull players back behind the ball, meaning they will again be counting on break aways and counter attacks to see them through this match. A very telling thing to look at concerning the Fire is the way they played in the first leg of the DC series. When they went up a goal, they said that they were going to push it in order to get a second. But what happened? The team didn't know how to push forward and instead they wasted the clock and helm off a limping United. So even when they decided to push forward, they could not. Without a doubt Blanco will play a major role in Chicago's night, but which Blanco will it be? Will it be the Blanco from the first leg who gave away the ball over 40 times or the Blanco of the second leg who was placing the balls were needed and catching the United defense cheating? But the center of attention might not be the most important person to watch as the Fire will need Chad Barrett and Chris Rolfe roaming into the final third regularly if they hope to beat Reis. The Revs will call on one of the best midfields in the league to dictate this game. Steve Ralston and Andy Dorman have made trouble for their opposition all season with Jeff Larentowicz and Khano Smith adding a great fight to the center. On defense, Michael Parkhurst has been making a case for international duty with his 'defend hard, defend everywhere' style while Jay Heaps likes to get involved when numbers are needed. Combine all this will Pat Noonan and Taylor Twellman and you have all the makings of a whooping. Chciago might be able to hold off that whooping due to their strong defensive work, however that normally is the result of keeping 10-players behind the ball, meaning that if they go down to the Revs, their style will open up as they push forward, resulting in more possible chances for New England. But the wife did not stop there, she predicts that NE will go up a goal in the first half hour, Chicago will tie it just a few minutes after halftime and get the winner sometime between the 82-86'. Specific enough for you? Fans of the Blues in the USA now have a site to call their own as Chelsea has unveiled their official American online home. The club hopes US based supporters will use this location as their one stop shop for all things Chelsea. The site contains message boards, training drills, news and, of course, a store. Overall, it is not the impressive looking as it reminds me of websites designed in the late 90's, but it is good to see foreign teams look to expand their name in the states. We might know by the end of the day if a German or a Dutchman will guide the Galaxy next season. Rumor has it that Alexi Lalas and the LA franchise have narrowed their options for manager down to Juergen Klinsmann or Ruud Gullit. Klinsmann is the constant shinning hope of US soccer organizations as he was a fantastic player, had a great spell coaching Germany in 2006, lives in America and knows the US game. However, he has always seemed a little cool to the idea of taking over any team in his adopted country. Still, Klinsmann has been very involved with the Galaxy organization in the past and if he were to ever coach in the league, LA would probably be his preferred location. Ruud Gullit is a new twist in the coaching drama. He was a very key part of the Netherlands national team back in his playing days and had some early managerial success with Chelsea back in the mid-90's (pre-Roman Abramovich days), but his time with Newcastle was mixed (good first year, poor second) while his year with Feyenoord Rotterdam was very disappointing. Interestingly, all three of these jobs saw Gullit have issues with either players or management or both, which, at least in part, caused his departures. As a former European Footballer of the Year and World Player of the Year, Gullit offers a great deal of skill to any team, however, there is nothing to suggest that he knows much about the way the US system works. Perhaps that is why LA is looking at Cobi Jones to become the assistant coach if Gullit is hired. In other LA news, the Galaxy played a very uninteresting 0-0 friendly in Vancouver last night. The match was much hyped as Beckham's game in Canada, but Golden Balls failed to perform much magic on the pitch during his 72-minutes. He did not take any shots, nor did he show off any of his excellent passing techniques. If Beckham really hopes to get called back into the English national squad for their final European Championship qualifiers on 16 & 21 November, he needs to make a major impact this Sunday when LA takes on the Minnesota Thunder. By the way, just to know how poor the play by LA was last night, they were outshoot by a second division team 12-3, with their first shot on goal coming in the 51st minute. Ouch. Maybe Gullit or Klinsmann should reconsider any offer. He also adds that after talking with the pub, they confirmed the announcement involves MLS in Seattle and that this will be a 'pre-announcement of the official announcement of the team at The Colombia Tower on Tuesday. The timing makes perfect sense, as the league normally likes to use MLS and All-Star weeks for such major news. No word on any plans in Philadelphia or St. Louis. But Beckham is not the only problem he sees for MLS as he also believes that the current salary cap is hurting the game. Pele believes MLS players' salaries need to be raised to the level of American football or baseball players. He also wants the lifting of restrictions on player movements, which are designed to stop wealthy teams from amassing the best players. "This was one of the mistakes. They have to give freedom to the owners of the teams to buy the players and (chose) which players they want to put (out)," Pele said. "The big mistake in the league now is to control the level of the teams. If they opened this up, it would be much better. The biggest problem with this move, of coarse, is that it is basically what NASL did back in the 70's, and that didn't end up so well. Still, he is correct that if the league ever wants to see the attendance numbers of the Cosmos (50-60,000 per match), they will need to have more money to spend to attract top talent. However, at this point the league is not looking for such numbers, instead, they want to build a strong foundation for later improvements. Yet it is hard to argue that raising the salary cap a few million dollars per team is a bad idea. In other Pele news, he thinks England is well suited to hold the 2018 finals. He sited stadiums as the main reason the country should get the Cup. He then went on to talk about his own country hosting the 2014 World Cup. 'It is fantastic. The Brazilians love football, they live football. 'When Brazil was nominated to get the World Cup it was fantastic. 'Of course there is a lot of controversy about the situation and people ask if Brazil is ready to host the World Cup. As far as wow factor, a city council approving a waiver in order to allow for a later submission date for a proposal is not that exciting, however, the San Jose Earthquakes see it as a great sign of things to come. The waiver allows Earthquakes owner Lew Wolff the three months he says he needs to get all the pieces of his stadium proposal together. Had the waiver not happened, the proposal would have been due in March along with any other 'rezoning' requests. So the team is no closer to actually getting a stadium, however it shows that the city is willing to work with them to make it happen. A number of fans in Houston were upset this past Friday when they could not find the FCD-Dynamo match anywhere on local television. Since the Dynamo are, by MLS rules, responsible for getting any non-national televised games on the glowing box, some felt that this lack of a broadcast was a way to insure a healthy crowd on Friday night. However, Houston insists that their decision had nothing to do with ticket sales. Instead, it was the result of budget limitations. The team says they only had the money to pay for one of the legs of the first round and decided it would be better spent getting the match from Dallas aired since fewer fans had a chance to see that one. The idea makes a great deal of sense, however it reflects another way that the league's structure is hampering the growth of the sport. The game on Friday night was one of the most exciting examples of league play this year, but only 30,000 out of 5.5 million people in the area had a chance to see it (Direct Kick and MLStv are nice, but they don't come close to matching broadcast numbers). Oh I know, even if the game was aired, an overwhelming majority of people in the area still would not watch it, however, they would have got some people to stop and watch (and it probably would have been on in a number of sports bars). But even if the final number was 30,000 people, that still doubles the viewers for the game and increases the possibility of getting people involved with the club. But the Dynamo have a budget that could not afford such an undertaking, which makes me thank that the league should step in at playoff time and assist teams that do not get national broadcasts. It doesn't have to be full payment for a match, a 50/50 split seems fair. Since the total matches would only be four, the cost is relatively small with the results being very worth while as every playoff team would be able to say that all their post season matches, which are suppose to be the most important games in the league, are on television. If you are not going to air the games leading up to the biggest game of the season, how can you expect to build a crowd for it? And I know, not every match is going to be as action packed as Friday's, but when they are, it makes everything so worth while. 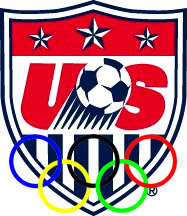 The U-23 US men's team will have home filed advantage as they try to qualify for the 2008 Beijing Olympics. US Soccer will host the eight-team tournament March 11-23 with matches taking place in Carson, Ca. (The Home Depot Center), Tampa, Fl. (Raymond James Stadium) and Nashville, Tn. (LP Field). It appears the eight teams will be divided into two groups of four, with the top two teams in each group advancing to the playoff stage. Since three Concacaf teams will advance to Beijing, the two teams playing in the Championship match are in no matter what while the third place game means a great deal. Both of these games, as well as the semifinals, will take place in Nashville. So far, five teams have already qualified for this tournament (US, Mexico, Canada, Cuba and Haiti). The final three teams will come from Central America (Costa Rica, Guatemala, Honduras, Nicaragua, Panama and El Salvador) and will be decided later this year. US U-23 head coach Peter Nowak will call together a weeklong training camp starting 2 December. The team will then fly to China for a nine-day tour that includes two matches against China's U-23 squad. The US failed to qualify for the 2004 Olympics in Athens, after qualifying for six straight games from 1980 to 2000. Exact schedule and ticketing information has not been released, however, here is the basic information. So each date is a double header and I'm guessing the US will be in the Carson, Ca., group while Mexico will be in the Tampa, Fl. one. Toronto FC coach Mo Johnston is spending a week in Brazil (hard life) in hopes of finding a player to act as a good number 9 or 10 for his club. "There are a couple of clubs he will be looking at in particular but he did not mention the names of the teams or the players." Without a doubt, Toronto needs help up top. Johnson worked hard at improving his backline during the season, but with little support up top, it was not as impressive as it could have been. In some other possible good news for TFC, it looks like San Jose might reframe from taking any of their players during the expansion draft later this month and defender Andrew Boyens, who is from New Zealand, is looking into the possibility of obtaining Canadian citizenship, thus making him a domestic player and opening up a youth international spot for the club. A little interesting bit, all stadium information seems to point to the site having between 4,300-5,000 fixed seats, but in their announcement, the Wizards specifically said '10,000 seats' are available. I'm guessing that they are using 'seat' as in place to sit down, not necessarily an actual physical chair as it looks like their is a large lawn area, plus it looks like they will add some bleachers on the field (here is a seating map for soccer). Although this is not fantastic news by any means, it could be much worse. The team seems to want to build on the next two seasons in order to open strong in their new stadium in 2010. Don't get me wrong, even 10,000 is a bit low, but if they can really improve the atmosphere of their matches, they should be able to use this as a springboard. Also, knowing where they are going to play with five months till their first home game should allow their marketing team to get the place sold out. There might be one little hitch to this whole plan, the soccer stadium deal is not yet finalized, and even though it looks like it will happen, until it is done, nobody can be sure. I would hate to see the CA Ballpark become a long term home to the team. The New York Red Bulls have sacked Bruce Arena after the club failed in the first round of the MLS playoffs this past Saturday. In just a year and a half, Arena went 16-16-10 including going 12-11-7 this season. The Red Bulls will start their search for a new coach immediately, which will be the fourth since Red Bull purchased the team in 2006. So the Bruce is no looking for a job. Maybe the Women's national team will come calling. Without a doubt, leg 2 of round 1 was a lot more fun then leg 1. However, after both number one seeds were knocked out by the bottom seeds, one has to wonder if the league needs to take some sort of action to give the teams that proved themselves during the whole season an advantage in the playoffs. But that is a discussion for another day. It is a real shame this match was not on national television because it is exactly the sort of game that could convert casual fans. The atmosphere was amazing, the game was physical yet had great flow and the goals were all fantastic. FCD just needed a tie to win the series and early on it looked like they were going to do that, but then one stupid reaction turned this game. Two minutes into the second half, Arturo Alvarez allowed the intensity of the match to get the better of him and got sent off for giving Brad Davis a knee to the groin. Alvarez, a Houston native, sank his team and should be deeply ashamed of his actions. Up a man with 30,000 fans roaring them on, the Dynamo attack, which has been mighty cool for most of the reason, flared to live as Houston cut through Dallas's lines again and again. Passes that had early been a little off where now finding their marks as Dallas was overwhelmed by the push. Sure enough, 20-minutes almost to the second after Alvarez was sent off, Houston go their first to tie the game and bring them within one on aggregate. Five minutes later, the series was tied after come great passing in the box setup a reborn Brain Ching who slotted the ball home. Houston kept pushing to get the third and kill the game in regular time, but FCD had just enough in them to stop it from happening. But then came overtime and Dallas fell to pieces. They were dragging all over the pitch and when Joseph Ngwenya again setup Brian Ching for the goal ahead goal, there was not a shocked fan in the house. The Dynamo were rolling and the fans were going crazy. The death nail would come in the 100th minute when Brad Davis stepped up to take a free kick just outside of the box. He delivered a perfect shot into the upper corner of the goal and the series was over. The teams played on for another 20-minutes but it was mainly time filled with the Dynamo killing off the game as FCD tried desperately to make anything happen (usually resulting in fouls). This was exactly the sort of game we have come to expect from Houston as they controlled it without any doubt. Still, they were having a lot of trouble with a full 11, which should give Kansas City at least a little hope heading into the 'conference' final. On a different note, how big of a bouquet of flowers do you think the Dynamo sent Alvarez to think him for going all Ricardo Clark on Davis? Much like the Houston match, it took a side going down a man to turn this one. However, unlike the showdown in Texas, the man advantage was due to an injury. The Revs found ways of breaking New York's line, but they never really applied constant pressure. But when Juan Pablo Angel went out after taking a hard knock to the chin that resulted in a concussion, the Revs saw their opening. NY coach Bruce Arena took a gamble in allowing his doctors to check on Angel before replacing him and it did not pay off. With the extra man to push forward, the Revs finally had that little extra opening they needed to get the final pass perfectly in place for Taylor Twellman. With NE up a goal and NY without Angel or Reyna (who was injured in the first 20-minutes), the Bulls needed something amazing to have a chance, and they almost got it as John Wolyniec had a perfect chance in front of goal, but he headed the ball just over the bar, thus ending the Red's run for MLS Cup. The Revolution should be happy returning to the Eastern Conference championship match for the sixth straight time, but they have a lot of work ahead of them. New York was able to crack their defense and should have got at least one goal and their offense still is not full strength. To beat Chicago on Thursday night, they are going to need to find a way to open up a tougher backline. And who is getting the big of a bouquet of flowers from the Revs, probably Bruce Arena. I can't really fault the Bruce for giving his staff as much time as possible to figure out the extent of Angel's injury, but it was still the thing that turned the match. Chivas didn't have much attack, but they threw everything possible against KC on Saturday night and if it weren’t for the goal frame, Chivas would have won this series. Chivas put pressure on the Wizards for a majority of the match, but they could not get the lucky bounce. KC give the goats a number of chances, thanks to some weak passes that resulted in breakaways by Chivas, but none could be converted. In the final 10-minutes of play, Chivas had three shots that either knocked off the frame or hit the side netting. The Wizards applied some pressure of their own thanks in large part to Eddie Johnson who actually turned in a decent night. However, Eddie's shots are still more likely to go over the bar then between the posts, but he did apply enough of a push to force Chivas to hold their line back. In the end, injury, much like every other series, was the key factor in this one. With Ante Razov, Chivas did not have enough options to exploit the holes KC presented. The bad news for the Wizards, Houston has Brian Ching, Dwayne De Rosario, Stuart Holden, Nate Jaqua and Joseph Ngwenya ready to make them pay. If they hope to escape Texas still breathing, they are going to need to sharpen their whole game. Without question, the bouquet of flowers from Kansas City goes to the goalposts that made more meaningful saves then Kevin Hartman did on the night. Frank Yallop will no longer be Alexi Lalas's whipping boy as he has said 'good bye and good luck' to the Galaxy in favor of guiding the reborn San Jose Earthquakes again. Yallop told LA's players after Sunday afternoon's charity exhibition match against Hollywood United. This move comes right before the Galaxy start their post-season world tour. Fairly or not, Yallop's time with LA will be looked at as a failure. During his season and a half in charge, the team went 18-21-12 and failed to reach the playoffs both years. His job was made harder by injuries and the craziness that is the Beckham circus, but still, this has been a low point for his career. Yallop now returns to the team that has given him the most success during his coaching years, but this time he will have to build the club from scratch. One big question about this move is could his close relationship with Landon Donovan help convince him to move back to the bay area? On a different note, how much of a sigh of relief do you think the Houston Dynamo organization is breathing this morning as it looks like Dominic Kinnear will be staying with them after all? 2007 MLS Playoffs - Round 1 Leg 2 Preview - Are you ready for some Friday night action? Will last night be an omen for what is to come this weekend or will Chicago be the irregular that makes it on? Every match has something worth watching, but sadly the best two will be the hardest to find. I really think the FCD-Houston match is going to be something classic, while the KC-Chivas game will be shocking in the end. Friday nights in Texas are all about football, so it is only fitting that the second match of this series is tonight. Dallas comes into the game up a lucky goal while Houston is fumbling on offense. The good news for the Dynamo, overall, they looked better last Saturday in Frisco then FCD did. However, the good news for Dallas, the score is what matters. FCD will probably go with Ruiz and Cooper up top, which really didn't produce anything last week. Ruiz, as always, will play for the foul, but he is ridding a yellow and if his team does get out of Houston alive, they are going to need him next week. Will this mean that the little fish will alter his ways at all? I doubt it. Cooper needs to push himself into the box. The Dynamo kept forcing him out wide last week, which isn't horrible as he can center some good balls, but it means his size becomes a minor factor. Also, Dallas really wasn't getting anyone into position to do anything with the centering passes. But the big question for me is can Dallas get something out of their midfield? With the exception of a couple plays by Adrian Serioux, their middle suffered. If Juan Toja can return to early season form and start placing good passes that open up the attack, they have a great chance of finally getting a win in Houston, but short of that, it is going to be a tough night. With FCD's problems, Houston should be able to spring attacks. With Dwayne De Rosario, Brian Mullan and Richard Mulrooney clicking, the middle of the park should be theirs, but will Ching, Jaqua or Ngwenya be able to do anything with it? The lack of quality finishing is the only reason the Dynamo are down in the series. As his playoff history shows, Ching can explode at any moment, but it does seem that his injury from August is still hurting his game. However, he likes big games so I think he will find the next at least once. This game really should be outstanding. Expect a really strong, vocal crowd and an intensity level that will make soccer fans proud (by the way, if you live in the area, the game will not be on local TV, so to see it you will need to be there). So the playoff team with worse road record has to go to New England and win to advance. That should tip the balance in the Revs direction right off the bat. Much like Houston, the Red Bulls had their chances in the first leg, but they did not finish. Angel and Francis Doe should have got something from all the work Claudio Reyna was doing in the middle, but it did not happen. The Revs say they are confident and they should be. Michael Parkhurst is doing wonderful work in the back, Steve Ralston and Shalrie Joseph own things in the middle and Taylor Twellman and Pat Noonan offer good options up top. If it wasn't for a bit of a slip in form for goaltender Matt Reis, there really wouldn't be much to talk about, and that's why Angel and Altidore need to expose. New England is a quality side, but they depend a lot on the skill of their keeper. In the regular season he made 120 saves off 169 shots, meaning he made the second most saves off of the third most shots in the league (by the way, none of the other teams that had this many shots or saves made the playoffs). So even if he is just a tad off his game, the Revs are in danger. For the Revs to keep the Eastern Conference final from being a #3 versus #4 affair, they will need to limit that chances the Bulls have. If they can do this, they have enough talent at the top get the win. First the good news for Kansas City. They are the only team that owned a game in Los Angeles this year against Chivas. They controlled the pass, had the better opportunities and frustrated the goats. The bad news, they still lost the match 2-1. With Maykel Galindo and Ante Razov still either out or less then 100% for Chivas, the Wizards defense should again be able to dictate the pace of the match. With a goal, KC all but has the series, so they will need Eddie Johnson (who might be playing his final MLS match) to actually get involved in the game and Scott Sealy needs to work on staying on sides and his movement in the box. Brad Guzan is a fantastic net minder, so they will need to either catch him with a quick dump pass in front of goal or create a mess in the box and hope for the best. Chivas has their own offensive worries as they have only scored one goal in their last four games (which matches Razov's injury). Sacha Kljestan and Jesse Marsch can make trouble, but overall, they have no solid strikers for this match. Jonathan Bornstein should help control things in the back, but with nothing to really push the game, the Wizards have a golden opportunity to knock off the second number one seed of the playoffs. By the way, I am now taking bribes to predict that a team will win. I do this because I have been incorrect about every game for the last two weeks. If you want your opposition to lose, just bribe me and I'll pick them to win. One last thought, what happens if FCD, NY and KC win this weekend? If all four top seeds are knocked out in the first round, will MLS finally change the playoff format to actually give top seeds an advantage in the first round or will they point to it as proof that the playoffs are the most exciting time of the year? What was DC doing during the first 60-minutes last night? I have not seen them look that pitiful since 2002. Nobody was playing a good game. The midfield couldn't pass a ball, people were not getting forward, Troy Perkins was running off his line every chance he got and Bobby Boswell, well the less said about him the better. The Fire took full advantage of these flubs and using some fantastic passing to silence the crowd. Blanco, who last week gave away the ball over 40 times, was having a much better night. His back heal passes were not getting picked off and his long range ones were landing near target. But their best pass of the night came from Carlen Carr on the first goal. Perfect curve behind the defense, right to Chad Barrett's feet, who, after beating Boswell, hammered it home. Chicago's second goal was not as pretty, but it too was the result of bad placement by Boswell, giving Chris Rolfe an easy shot for what turned out to be the series winner. Up till the hour mark, it looked like Chicago was going to run away with this one. I could help but wonder what was going on with DC. Did Chicago get into their head, were late season injuries to blame or was it just a bad night? But just as I was thinking up ways to write about a total bomb, United, thanks to their subs, staged a fantastic rally by making overlapping runs and flooding the attacking third, forcing the Fire out of their positions and opening up space. When Clyde Simms hit that low screamer into the corner of the net, it was obvious that it would not be DC's only goal on the night. When Gomez just snuck one past Matt Pickens a few minutes later, it looked like the great comeback was upon us, but thanks to some smart subbing of their own, the Fire were able to re-cage United. DC still had their chances, but they were no longer everywhere. Chicago were marking their players and holding on just enough to keep the net free. With the exception of the stoppage time non-goal by Gomez (which was the correct call), Chicago was not really hard pressed during the final 15-minutes. So all congratulations go to Chicago. I didn't think they had one goal in them, much less two. If Barrett and Carr stay hot and if Rolfe and Blanco can continue their ways, the Eastern Conference might go to the fourth seed in the end. As for DC United, they join a growing list of teams that won the Supporters' Shield but failed to reach the MLS Cup. Since Columbus won the shield in 2004, no winner has reached the final and in three of those four years the Shield winner has been knocked out in the first round. To put this in perspective, in the first eight years of MLS, the Shield winner reached the final five times and won the Cup four times. The three times the Shield winner did not reach the final, they still made it out of the first round only to loose in the semifinals. So the question has got to be, what curse did the Crew place on the Shield in '04? I think a phone call to Greg Andrulis is in order. Chicago now advances to the Eastern Conference final, which I'm going to guess will not be on ESPN2 as the host will be New England or New York, ie, there will be American Football lines all over the pitch. Talking about ESPN, I have to hand it to them for their call of the last two matches. For a majority of the night, the call was focused on the game happening right in front of them. There were no long discussions about player’s hair or baseball or anything else. Now they did wonder more last night then they did last week, but it was still much better then what we got during the regular season (I think having 2 main commentators is much better then their usual 3). Heck, they even interrupted Allen Hopkins because an important play was happening. All around, very nice. Also, having 30 extra minutes for a 15-minute post and pre game show really adds a lot to the presentation. It gives the game additional build up and allows the match commentators to focus more on the game instead of explaining other things happening around the league. Hopefully ESPN will give keep this going for the rest of the playoffs and into next season. Finally, the camera work was also fun to watch. With the exception of the odd yellow filter that kept popping up, the angles were helpful for the viewer and replays were presented in an interesting way and at an appropriate time. Thursday Night Soccer – Chicago vs. DC - Can United finally beat the Fire? So it comes down to this. Will it be a repeat of 2005 when the Fire came to DC the underdogs and walked out with four goals and some of Christian Gomez's spit or will United finally find a way to put out the fire (I promise, this is my only fire pun) in the playoffs? There are some big differences between the clubs that meet today and those that meet in 2005 with the biggest being scoring ability of the Fire. Back in those lazy days of two years ago, Chicago were much more of an offensive team averaging 1.5 goals per match while this year, they pop in at just a hair over 1 goal per game. The only thing that kept Chicago from being a wash was the ability to defend, where they were second best in the East. The problem for them, the number one defending and scoring team in the East was DC. United is going to come out expecting Chicago to play a bunker style match because the Fire really does not have any other option. They tried to push the offense in the first leg, but they feel flat thanks to horrible control in the midfield and there is nothing from their season that suggests this will change tonight. This should give Fred lots of room to move and try to free up Emilio and Moreno, but to fully counter the Chicago wall, they will need to call on Ben Olsen, Bryan Namoff, Bobby Boswell and others to create messes in the final third that might open up the space needed to place one into the net. The problem for Chicago is if one goes in, it will not be the only one. If United tie of the series score, especially if they do it early, they will not sit back and wait for penalties. They will find the errors and Chicago will go home. One last thing, don't be surprised if the Fire give up a goal after the 80th minute as they have done so on many occasions.